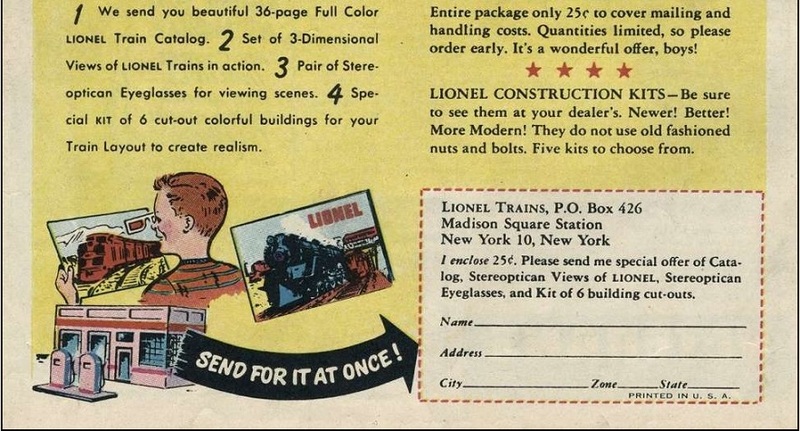 This ad for Lionel trains appeared in 1948. 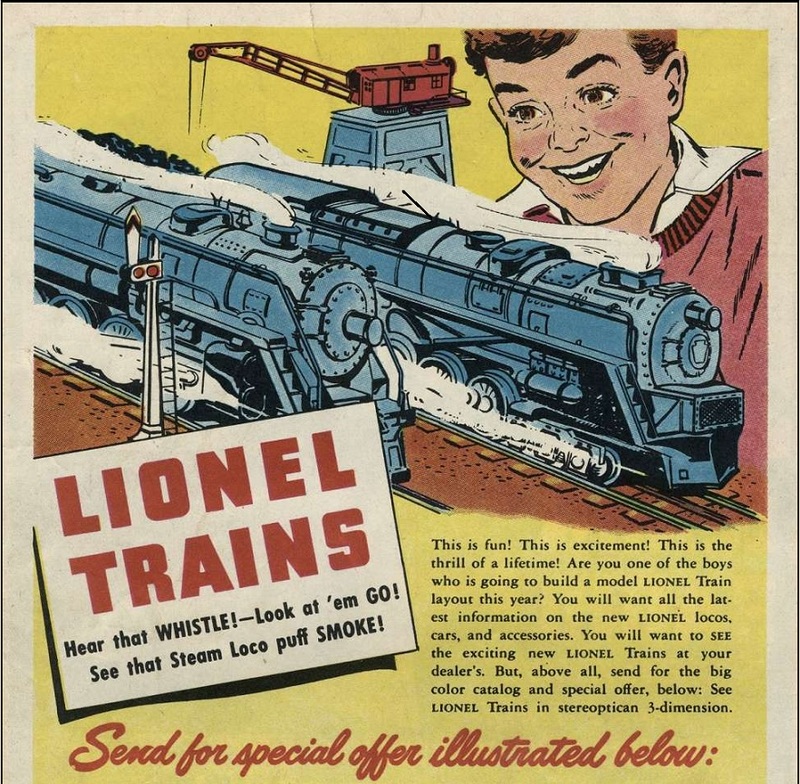 The name Lionel was synonymous with model trains. I had one when I was a child, and most of my friends had one. Nowadays with so many other things for a kid to do model trains have long taken a back seat to virtually everything else. 2010 in a Lionel store in New York. 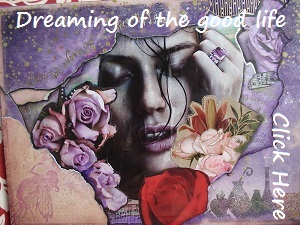 Click to enlarge image. 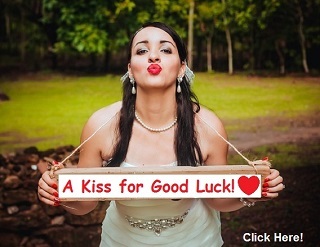 Lionel Corporation is an American toy manufacturer and retailer that has done business since 1901. 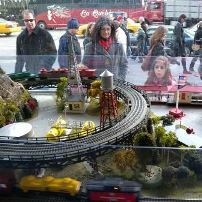 Founded as an electrical novelties company, Lionel specialized in various products throughout its existence, but toy trains and model railroads were its main claim to fame. Lionel trains, produced from 1901 to 1969, drew admiration from model railroaders around the world for the solidity of their construction and the authenticity of their detail. During its peak years, in the 1950s, the company sold $25 million worth of trains per year. In 2006, Lionel’s electric train, along with the Easy Bake Oven, became the first two electric toys to be inducted into the National Toy Hall of Fame. Lionel remains the most enduring brand name associated with model trains in the United States, its products prized by collectors. Lionel, LLC now owns all of the trademarks and most of the product rights associated with Lionel Corporation; there is, however, no direct connection between the two companies.